“I’ve never seen a player as good as James during my presidency,” Livio Proli said. 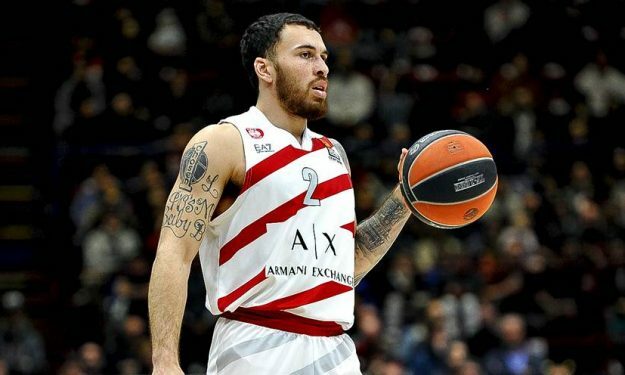 Olimpia Milano president Livio Proli assessed the season that Mike James had with the team in EuroLeague. A run that was completed with the Italian side missing the playoffs for the fifth season in a row. James finished the EuroLeague regular season with a competition-high 19.8 points, 6.4 assists, 3.8 rebounds and 20.2 PIR over 33:56. In the last three decisive matches for the qualification to the playoffs, he averaged 4.3 PIR in three consecutive losses for Milano. “We want to add a player that will improve the team’s performances and is compatible with Mike James,” Proli added. Regarding the future of the team, Proli also mentioned that Milano plans to keep Lithuanian center Arturas Gudaitis long term. “We want to extend Gudaitis’ contract for at least one more year and prevent his departure for the Cleveland Cavaliers this summer.” Gudaitis, that is out for the season due to an ACL injury, is already under contract until 2021.